Trainworld or Trainland (depending on where in New York you are going) would probably be your best bet. I've only been to Trainland and there were some pretty decent deals there. I never bought any of the Thomas stuff there but I have bought a few other products from there before for pretty good deals. I remember they pretty much had every HO Thomas product available when I was there, so that might also be worth considering. And it's just Clarabel right? 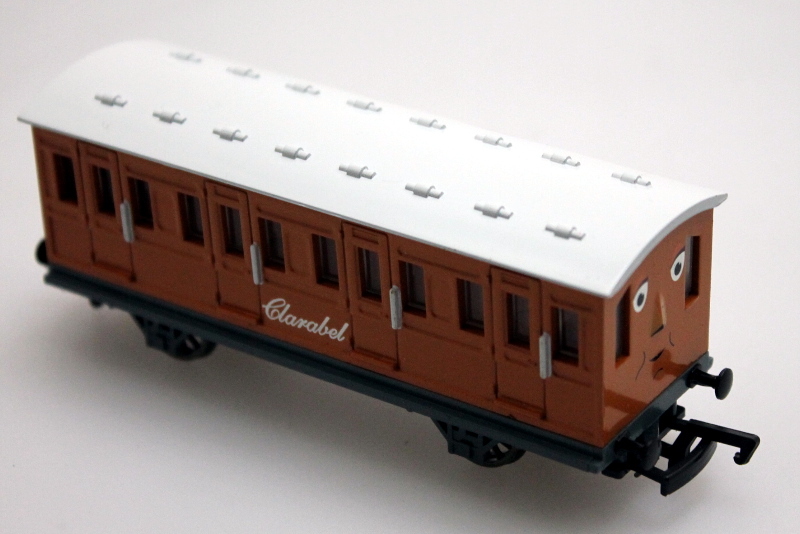 Well, the photo name for that specific Clarabel is "Specialy Car (HO Scale)"
Anyone have any information they could lend as to why she's a "Specialy Car"? Or even what a 'Specialy Car' is in the first place? More than likely, it's just a seller who doesn't know anything about Thomas and gave "happy train car with a face" an "important sounding" title. A further investigation shows that's from the section of the website called "Warehouse Finds." Gonna guess with that title it's similar to my guess; stuff found in the building thats been misplaced and can still be sold, and whoever found it is unsure of what Clarabel was. Is there anybody on here that lives close to the NMRA show this year? 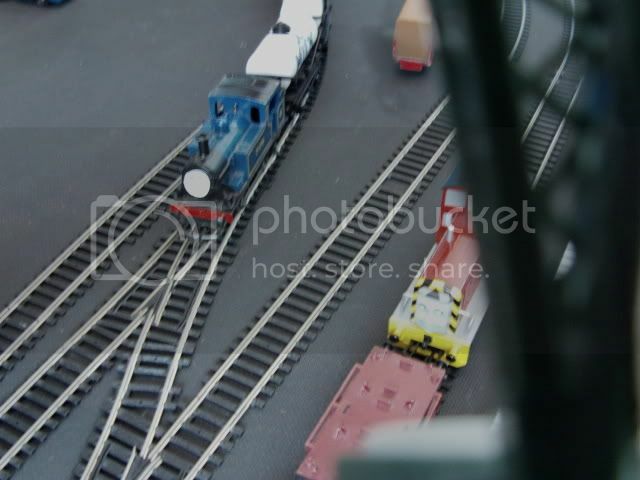 If so, is anybody going to the NMRA show to take pictures of the prototype models of the new Bachmann Thomas and Friends products, and post them on here? 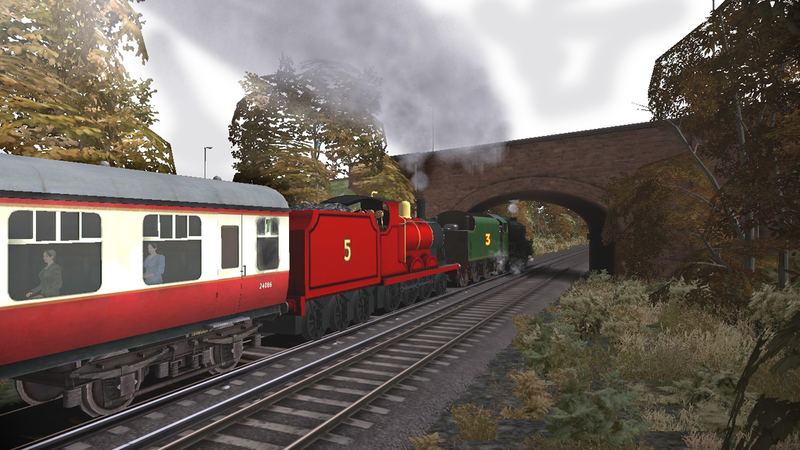 Thank you Chaz, I was able to nab Skarloey Arry Bert the new red coaches and Toad for fair prices. You're welcome, congrats on the good haul. I just bought Thomas, James, Percy, Henry, Donald, Douglas, and a bunch of rolling stock. Yay! However, Donald has a persistent ringing noise that occurs whenever he goes forwards, but not backwards. Any ideas? Take him back. Had that on mine and it promptly burnt out. Luckily was within warranty. Maybe he needs to answer the phone. Has anyone heard or seen anything about Oliver? My preorder for Oliver sadly got cancelled due to some issues with Lantz/Wholesale trains so I probably won't be ordering from there again anytime soon. Luckily I didn't lose any money in that preorder. However I did preorder Oliver from Tower Hobbies and they once again changed their date saying October. It's a little strange that the date keeps constantly changing on there but hopefully at the NMRA next weekend we will have an update on Oliver as well as Rheneas.